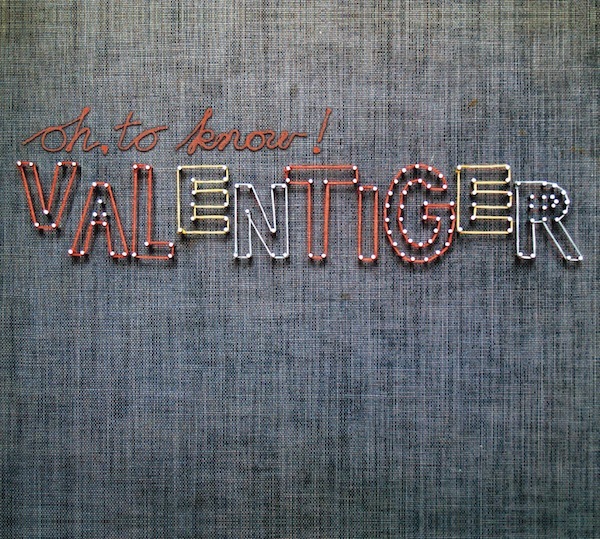 I really dug Power Lines To Electric Times, the 2009 album from Michigan band Valentiger. So I was happy to get my hands on their forthcoming record Oh, to Know! (out March 5th). Even with a solid album behind them, I didn't expect this from Oh, to Know!. The new album shows a band with growing confidence that results in a loose, freewheeling, and downright fun record. Valentiger's music is a combination of pop elements, like vocal harmonies and infectious hooks, with roots rock jangle (and the odd harmonica or weeping guitar). Songs like "Love To Forgive" thrive on their ability to create seemingly effortless melodies. While "Why I'm Not Great" puts just enough grit in the mix to get the approval of even the most jaded music fan. They demonstrate tremendous judgement and restraint, making certain that none of the songs get too saccharine. They show the ability to self-edit as well, since every track checking in at under four minutes long, leaving not an ounce of fat on Oh, to Know! Oh, to Know! is one of those rare albums that is suitable for nearly every occasion. Out for a drive. Check. Dinner party. Check. Lonely night at home with a bottle of JD. Check. 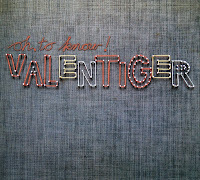 If this album doesn't break make Valentiger a breakout indie band, then there's truly no justice in the world. Best tracks: "Oh, to Know! ", "Love To Forgive"